Concierge – concierge can mean different things to different people; a practice that accepts insurance and also requires an additional fee from all patients on top of insurance payments or a practice that accepts no insurance cash only per month for access to providers. On Call Specialty Practice – specialty physicians, typically surgeons see patients’ pre and post-surgery in the office of the referring physician and have no brick and mortar office. 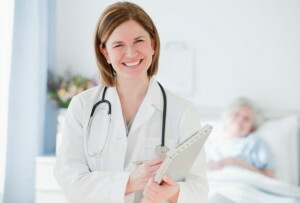 Micro-practice – an even skinnier form of the co-op practice, the physician works without any assistants and does everything him/herself with just a computer, utilizing one exam room. Micro-practice physicians see on average 8 to 10 patients a day. And the number of provider delivery models is growing every day. Traditional models of a single provider simply buying a building and starting a practice is almost extinct. These models continue to change and grow as opportunities for capital change and grow. Relationships are just as important today for growing a physician practice as it ever was. The primary difference is relationships with who? EHRs are offering low interest and even free systems when you bundle multiple systems together and purchase. You buy a billing system they will throw in an EHR. Social media and IT connectivity has become just as important to practices as the membership to the local country club was 50 years ago. Knowing what model suits providers’ ultimate goals, personality and career aspirations may take time to find, but one thing is sure, we will always need providers and payment models will continue to evolve.